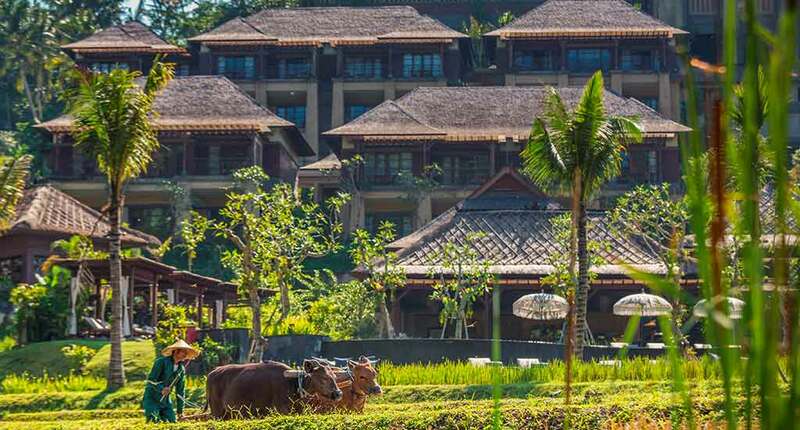 Secluded in the gentle hills along the Ayung River, Mandapa Ritz Carlton Resort sits on 24 acres of riverside rice paddies and luxurious rain forest. The families that used to own the land that the resort was built on still retain access to the land and temple as part of an understanding. 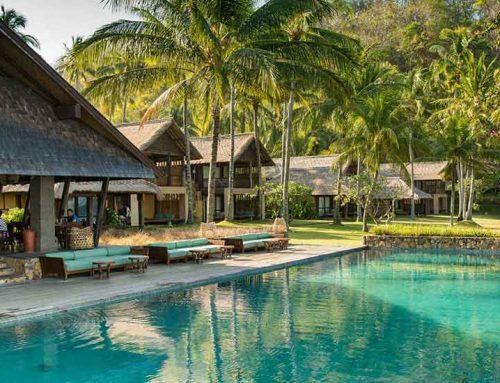 The resort maintains tree acres of rice paddies and a traditional barn on stilts as a result of this agreement. Villagers that come and work in the rice paddies and bring daily offerings to the temple, give the hotel the feeling that it’s part of a close-knit community. 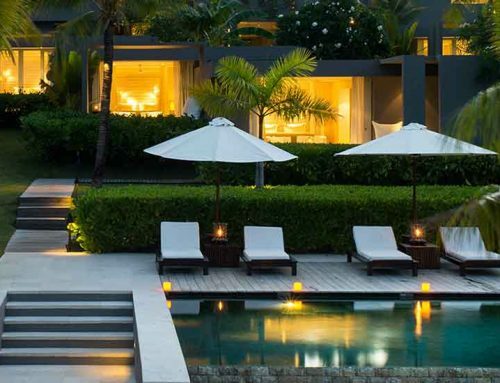 This Bali Luxury hotel offers 60 villas and suites, 35 of them being located on the hillside, with views to the rice paddies and forest, and 25 of them are situated along Bali’s longest river. 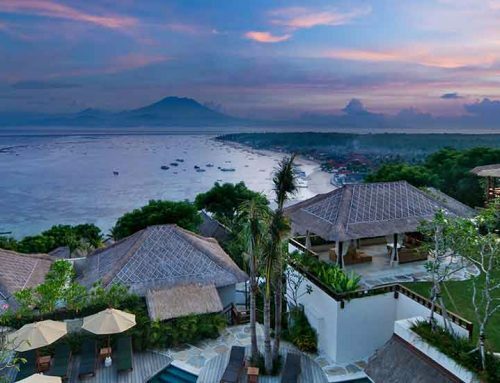 The high ceiling villas showcase an architectural design that retains influences from indigenous Bali, with vibrant tapestries and panels depicting scenes from traditional Balinese life. 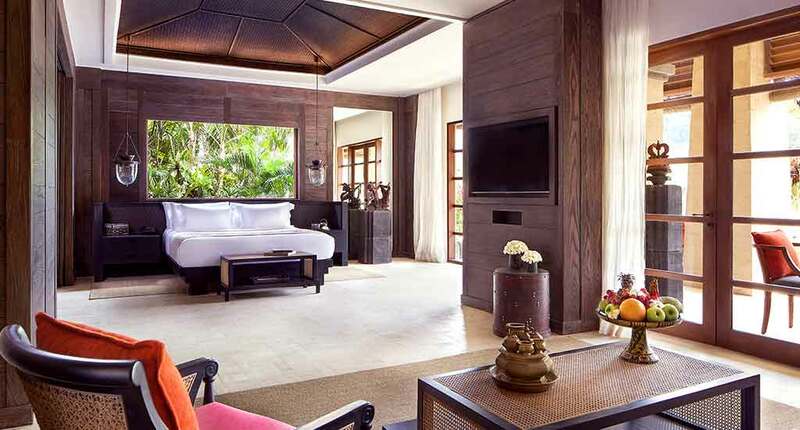 The suites are furnished with local pieces and artwork, a king-sized bed, a private pool and an outdoor garden shower. The suites on the hillside have stand-alone soaking tubs with views to the exquisite surrounding greenery. Local materials and design elements have been used in the creation of this resort. It starts from the thatched roofs and tiles to the poolside umbrellas. All suites and villas provide a minimum of 100 square meter of living space, wifi, a speaker dock with Bluetooth and IPTV with remote control cable/satellite, hightech plugin, air condition, mini bar, coffee-/tea making facilities, and a private terrace. 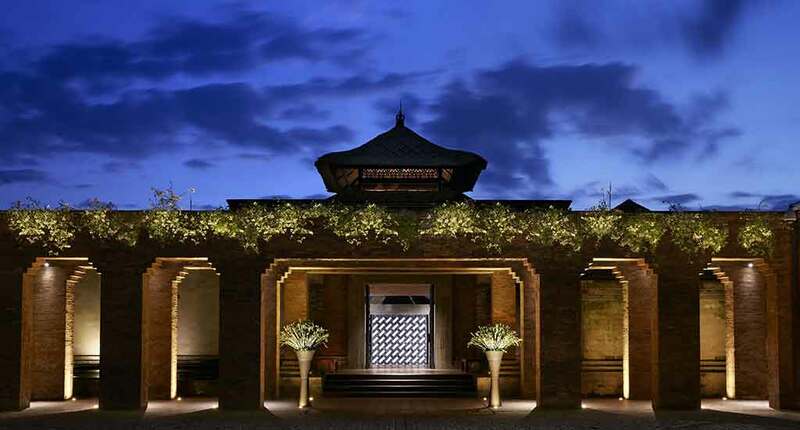 Moreover the Mandapa resort has a 24-hour fitness center and a luxurious open-air spa. 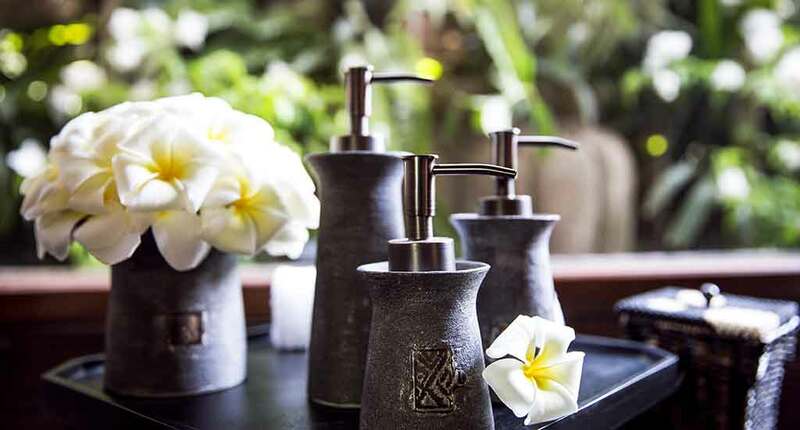 Healing massages and tailored spa treatments will deliver a calming experience for the body and mind. A complementary 24-hour butler service is available in all rooms. Your butler can help you arrange hikes, night safaris in an elephant sanctuary or less exciting things like laundry requests, airport transfers and bicycle rentals. 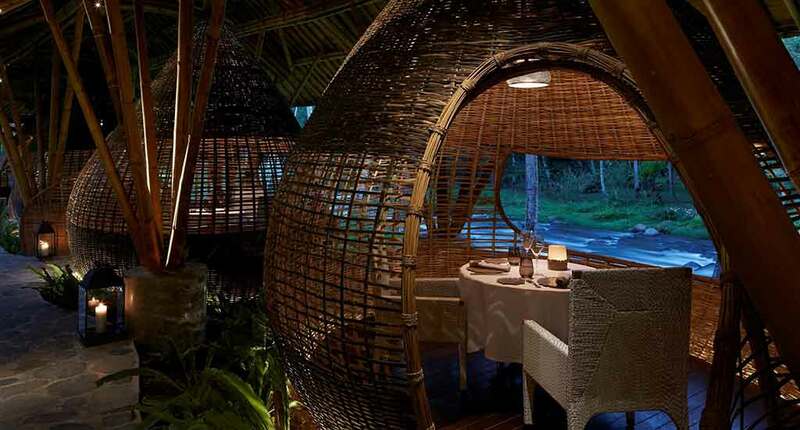 One of its three existing restaurants, Kubu, is a romantic Mediterranean dream come-true for couples and honeymooners, with its bamboo cocoons and idyllic view of the river. If you’ve grown tired of Mediterranean cuisine and wish to indulge in some local specialties, then make your way to the Sawah Terrace. There you will be served prawn salad and steamed duck in a grown-up tree house. 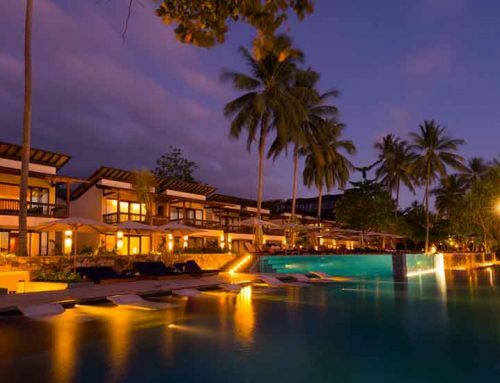 Mandapa also has a bar and lounge, poolside bar, a kid’s club and a souvenir shop. 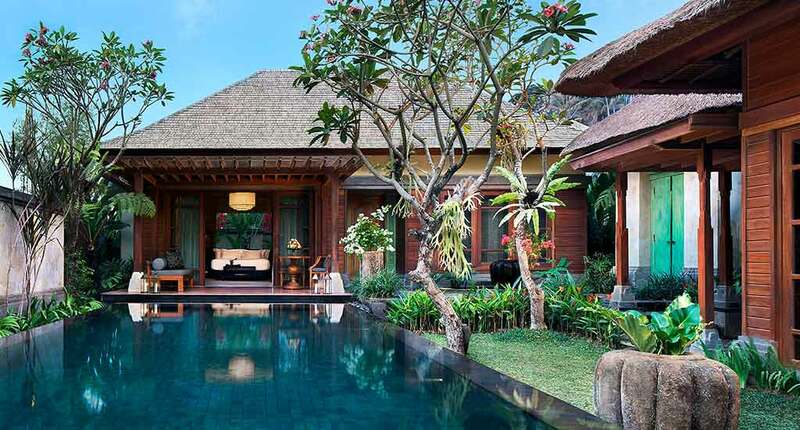 Moreover the Mandapa resort is close to the sacred Tirta Empul Temple, a 10th century Hindu Balinese water temple. Also Goa Gajah, or the Elephant cave, a 9th century-old sanctuary, are not far away. Aside from a large number of temples, there are also museums that are worth visiting. 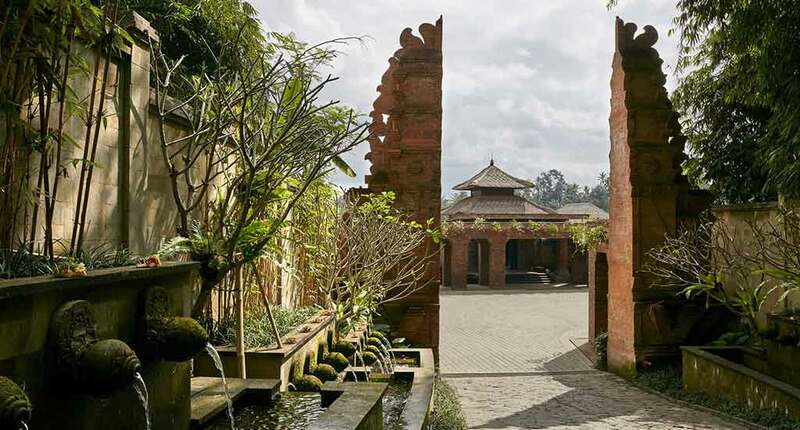 For example, there is the Puri Lukisan Museum, Neka Art Museum, and the Agung Rai Museum of Art. Mandapa Ritz Carlton Resort is a perfect romantic and a relaxing family retreat surrounded by the natural beauties of Bali. You will enjoy relaxed holidays here. Address: Jalan Kedewatan, Banjar Kedewatan, Ubud, Kedewatan, Ubud, Kabupaten Gianyar, Bali 80571, Indonesia. You find the website here. Click here for booking.